We at Heaven & Earth CMHC have always tried, to the best of our abilities, to break down and clarify the complexity of Chinese Medicine as a means to allow you greater insight and understanding on how Chinese Medicine can best benefit your personal level of health. There are many models of conveying information. I feel that creating a logical, algorithmic pathway will be the best method in getting you to the desired goal of understanding how Chinese Medicine Patterns are determined. The very first part of our Chinese Medicine Algorithm Trilogy starts with what we have coined Daily Disharmonies. This is the beginning of the algorithm. The list of Daily Disharmonies is virtually endless and becomes the building blocks of the next part of our algorithm: the determining of your own, personal Chinese Medicine Patterns. 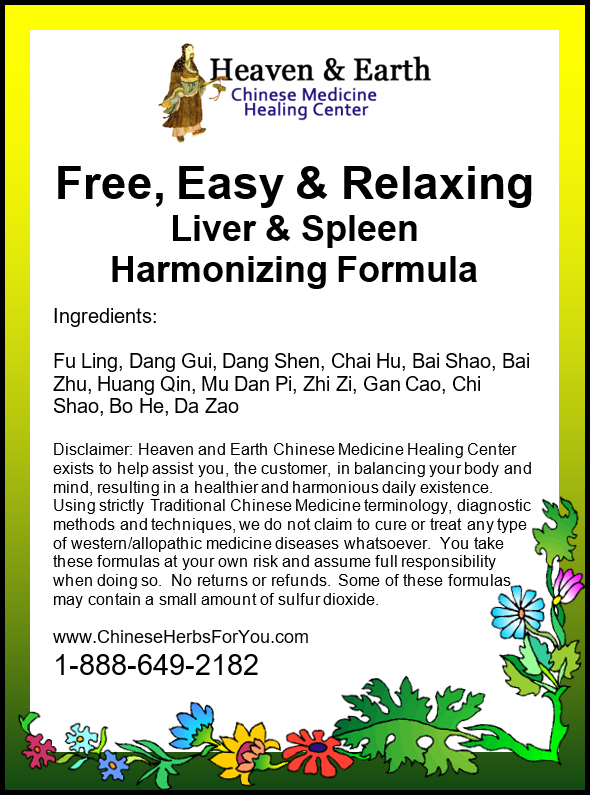 may fall under the Chinese Medicine Patterns of Liver Blood Deficiency or possibly Liver Wind. With a thorough assessment, your personal Chinese Medicine Patterns can be discerned. 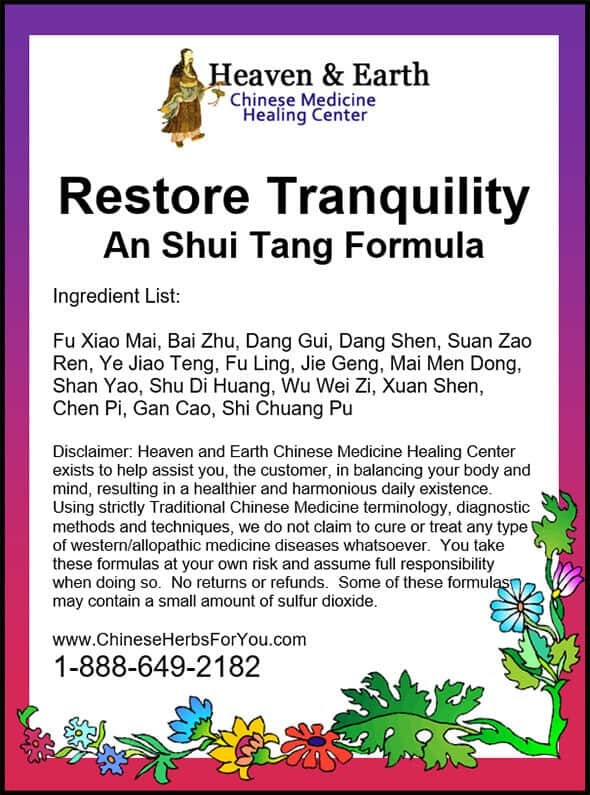 This brings us to the final part of our algorithm trilogy…the Chinese Herbal Formulas. 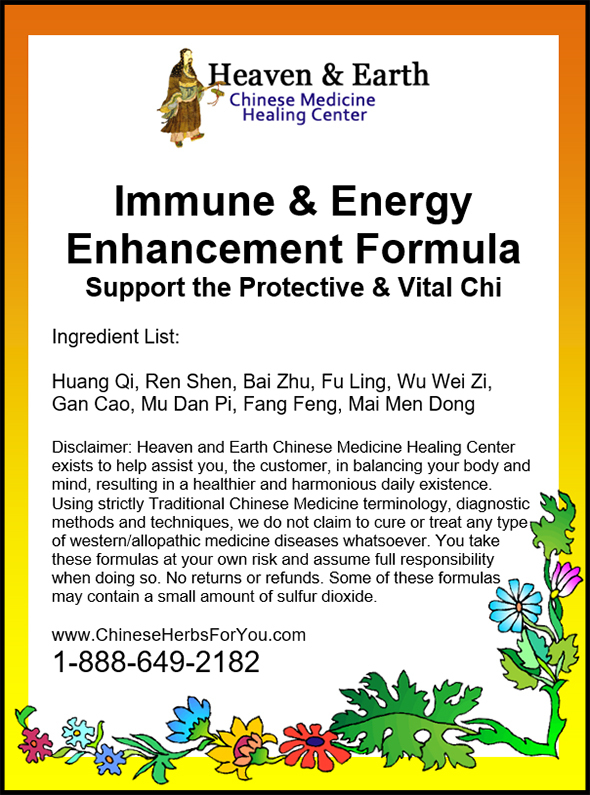 Choosing the proper Chinese Herbal Formula(s) is essential from the very start to begin the right pathway to healing and health success. 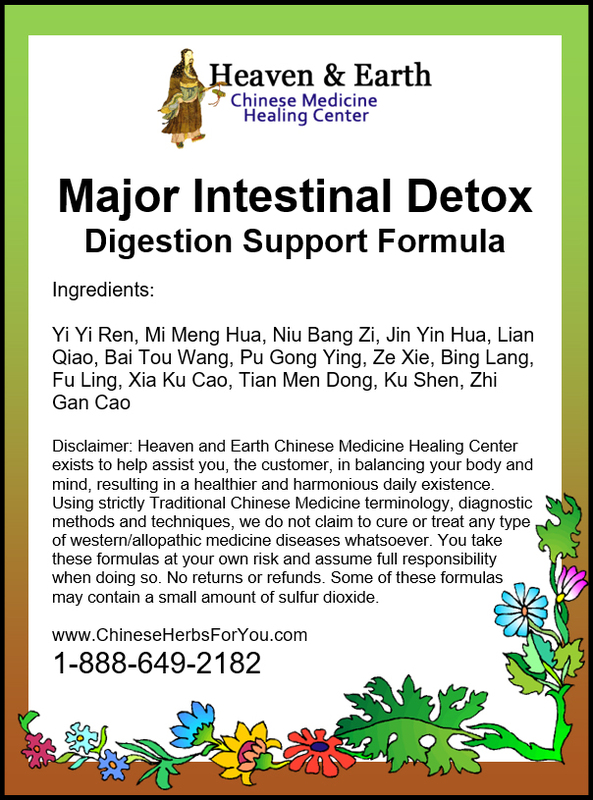 You will find that both the question and answer in any health issue can very much lie within the actual name of a Chinese Herbal Formula. 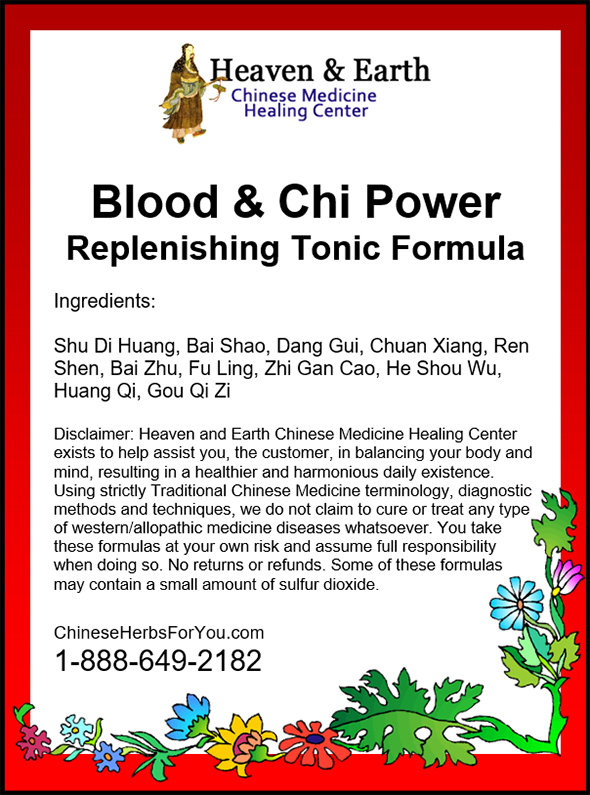 For instance, you may require a Blood & Chi Tonic. This would mean you are deficient, to some extent, in blood and chi. This is both simple and brilliant! 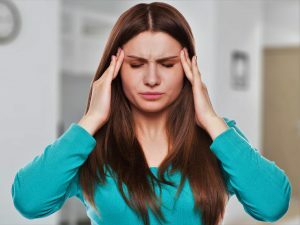 It should be stated that there are no family named diseases associated with Chinese Medicine since it serves no real purpose in determining the correct path of Chinese Herbal Formula Strategy. Determining your personal, Chinese Medicine Patterns serves this every purpose! This Algorithm Trilogy is a condensed, yet direct explanation of how to determine a proper Chinese Herbal Program Strategy. 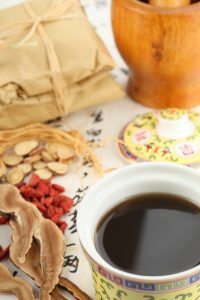 Of course, and with time your Chinese Medicine Patterns can, and should with the proper Chinese Herbal Program Strategy, change over time requiring updated evaluations and possible Chinese Herbal Program Strategy augmentations. 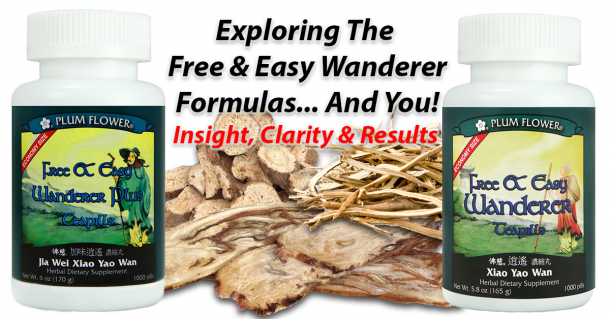 Thank you ,David and all that put there time & heart into providing a simple way to learn how Chinese Herbal Medicine , work’s and That it Actually gives the body tools to bring health with joy. I look forward to learning with a delightful cup of your Chinese Herbal Formula’s .